Fast cross-country tread pattern offering predictable handling. 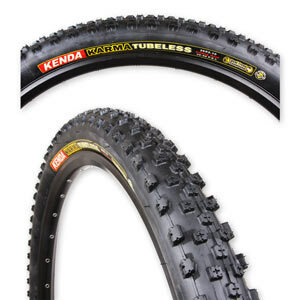 Kenda's premier lightweight tubeless tire. Low-profile square knobs offer plenty of grip. 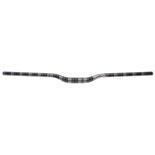 Superior tire construction for UST designed tubeless tire. One pattern for front or rear use. Also available in a tube-type construction. Rode the 1.95" size on rear wheel for a month with stans. I weight 165 lbs and have a 4" travel FS bike and rode these at 30 psi (I inflate before each ride). Any more pressure and the traction is bad in corners. Two cuts to the casing that stans didn't fix. 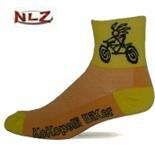 Great on really buff trails but too skinny for anything else. Kenda Nevegal 2.1 non-UST @ 35 psi on rear wheel -- these hook up great! I like the tires a lot but i am running 3bar front and back around 43psi. when it gets sandy it kinds kinda scary. It took me along time to get used to taking corners fast. I see alot of people running 25-35Psi i tryed just not my thing i am a bigger guy around 210lb. Low resistance, hooks up great on off-camber rocks and climbs. Doesn't grab roots or drag you around. None yet. We'll see how the sidewalls and knobs wear. I'll keep you posted. So far so good. I was looking for something a bit more stable than the CompS, but keeping low resistance for races. I got a great deal on these at PedrosFest, so figured I would give them a try. The trails we ride have lots of roots, so something that doesn't get pulled around was very important. So far this tire appears to be the one. These are the only tires that have convinced me to switch from my beloved Mosquitos/Pythons. The people at Kenda have a winner in this tire. The sturdiness of this tire is amazing considering it is one of the lightest tubeless tires on the market. I love this tire! Noisy on hardpacked surface. Disaster on sandy tracks. Can be deflated for better ride, but cornering suffers badly. BAD grip on fast corners, even on tar with 2.3 bar onboard. Does not work for me. Lots of sandy tracks where i life. maybe it is due to the 1.95? 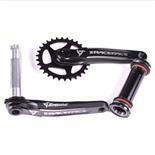 But the Smallblock 8 is 1.9 and has a better feel. Do not feel safe on cornering. 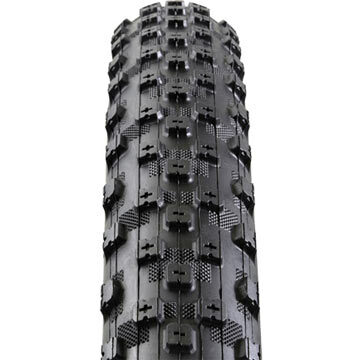 Fast, light XC tire with grip in the corners. Very light for a UST tire. Climbs like a champ! Great tire for dry, hardpack trails. A great little tire. I was a little uneasy at first with the 1.95 size, but confidence returned almost immediately after riding one of our more technical trails. The tire handled everything I could throw at it (steep climbs with roots and rocks; fast descents; rock gardens' and tight switchbacks). My tire of choice for dry conditions. I will probably switch out to the bigger Kemda Nevegals when conditions turn to wet, muddy. Very light, it rules in races, climbing is the best, and it doesn have roll resistance. the acceleration with this tires is great too!!. Also it has a lot of durability but i recomend to put tubless slime. With the slime and 35 psi the tires work for 6 months of hard use. I belive that the problem is when you descend with a lot of speed, you cannot control it, but is because the 1.95 inch width. I recomend a lot this tires for races, because you need more speed than control jeje, the adrenaline makes you to control your bike. When you get a flat and the slime doesnt help you, easy put a tube and go to the near bike shop for repair it and put more slime. not as puncture resistant as other tubeless tires.feel a little stiff. I bought these because they were cheap and needed spares.I've been riding the same local trails for years and thorn flats have always been a problem until I got tubeless.well, some tires are more puncture than others and the kendas are the others because thorn flats have been a problem with these.when I checked for holes the tire had 5 thorn holes!I've never seen this with my michelins.if thorns are not an issue and you want a fast rolling tire then this one isn't bad. This little tire is awesome. I have been riding it on mostly hard pack dirt that has intermittent sand and rock sections. I was very skeptical of this tire because of its size, I am used to 2.1, but this tire is on the large volume side for the 1.95 numbers. It grips extremely well going up hill and can be leaned very hard in to the corners on the descents. I have yet to take it through a full on rock garden at speed but I think that it would hold up. The sidewalls are thick and stiff. This is perfect racing tire and light duty trail tire. First ride with tubes, I had more than 3 pinch flats with 50lbs pressure. Went to the Stan's system and found that the side wall also had a hole from the pinch flat. I replaced the rear tire with WTB Velociraptor. The front tire was kept and when riding the sidewall would pull away from the rim and loose air when lateral force was applied while riding. Mostly when descending. I know that all of this sounds like air pressure problems but I was running slightly more pressure then I usually do with my tubed tires listed above. These are probably fine for lighter weight riders (I weigh 175lbs) but definately not a good setup for tubeless.